Note 1: Like baseball games? Check out my review of Little League Baseball! 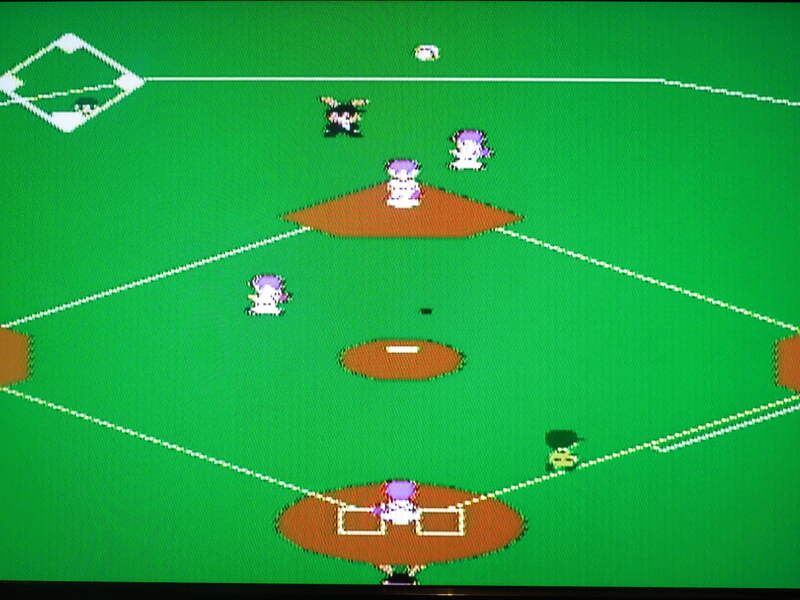 Quick History: Bad News Baseball was released in 1990 for the Nintendo Entertainment System. The game was released by Tecmo, the Japanese video game corporation that produced the well-known football game, Tecmo Bowl. 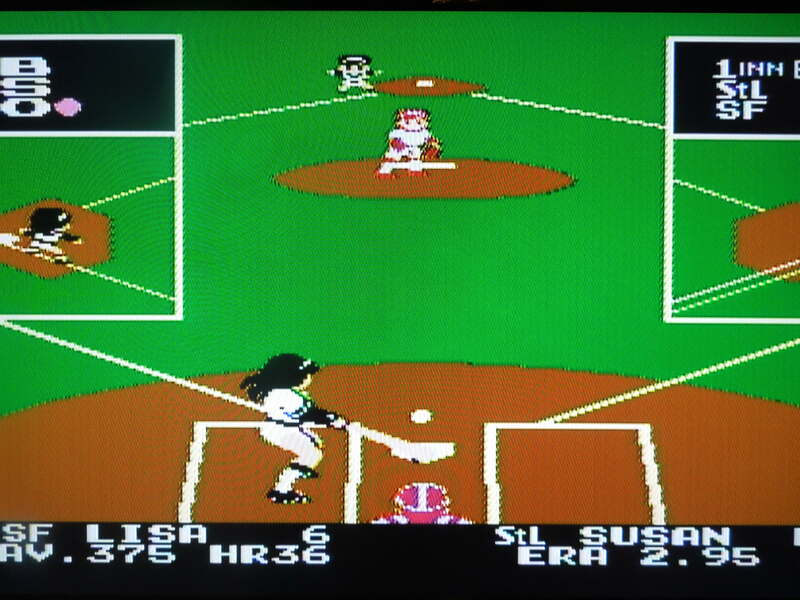 While some NES sports-game enthusiasts are familiar with Bad News Baseball, many ‘general population’ gamers are unaware of the game. 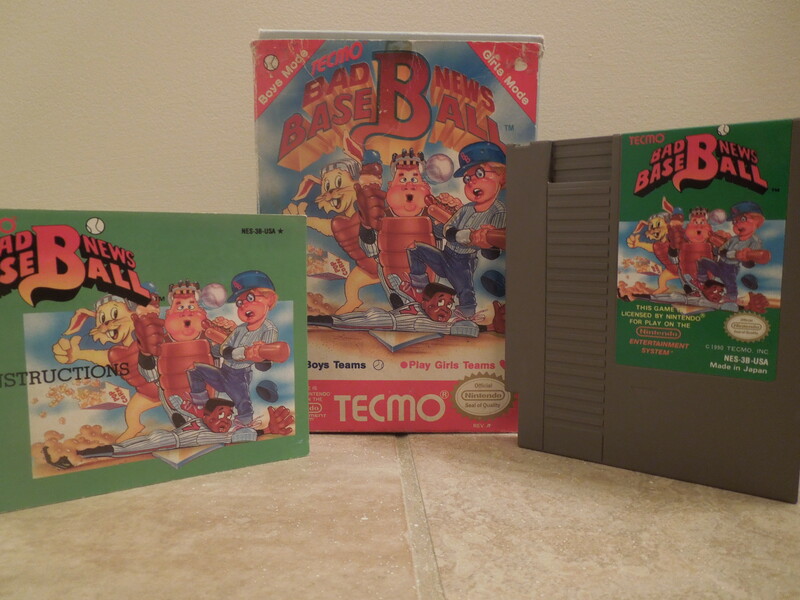 NES baseball games like RBI Baseball, Major League Baseball, or Baseball Stars 2 were the popular favorites during the NES’ heyday, while unfortunately, amazing baseball games like Bad News Baseball were often overlooked. Play an 11 game Season in Bad News Baseball – win them all and you’ll be World Champion. One Player Game: Pick a team and play a ‘season’ against the game’s other 11 teams. You pick which team you want to play first, second, etc. Beat them all, and you’re the World Champion. Two Player Game: Play a three game series against a friend (even if one player wins the first 2 games, you’ll still play a 3rd game to go for the ‘sweep’). One Player All-Star Game: Choose the Ultra League or Super League (All-Stars) and play a three game series against the CPU. Two Player All-Star Game: One player selects the Ultra League, the other picks the Super League – best of 3 games series. Spectator Mode: Pick two teams and watch a game. Password: After winning a game in one-player Season Mode, you’ll get a password. Enter it here to continue your season. The Tecmo Bunny calls the game fair and square. Teams: There are 12 available baseball teams in Bad News Baseball. There are no real player names or nicknames for the teams, as the game had no official MLB licenses. Some of the teams’ colors reflect their cities’ real-life professional team colors, like Oakland (green and yellow), while others do not, like Atlanta (white and pink). Each one has its own strengths and weaknesses. For example, Boston is excellent at hitting, but has slower’moving players. Texas has excellent pitchers, but not a lot of great hitters. You can view the stats for your players before games begin, including Arm Strength, Running Speed, Batting Average, Homeruns Hit, etc (you can also see some of these stats for each player when he comes to bat). You can change up your lineup before each game, and it’s good not to simply ‘press start’ and skip this, because often you’ll have a really good homerun-hitter or super fast player (great for stealing bases) that is warming the bench unless you swap him with someone in your starting lineup. Cutscenes: What makes Bad News Baseball particularly memorable are the cutscenes. During big plays or close plays, cutscenes play that show a close up of the action. These typically occur during homeruns and close plays at bases, but also after wins and losses. Hit the ball out of the stadium and you’ll get a cutscene of the baseball headed towards the moon! Run for homeplate just as the throw is reaching the catcher and you’ll get a close up of a frantic catcher and a sliding runner. 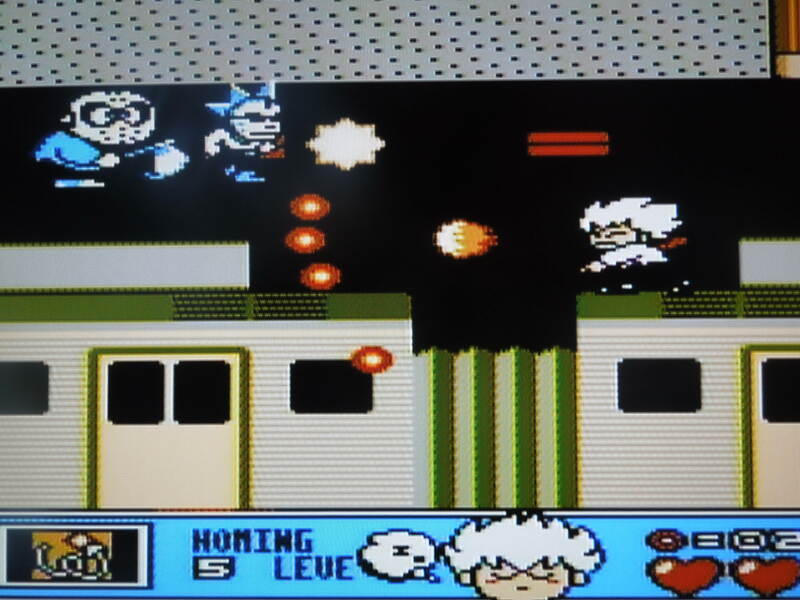 The cutscenes are very ‘bang bang!’ just like dramatic close plays in baseball, and you’ll know immediately if you were out or safe because the game has a voiceover for “Out!” or “Safe!” Beat the season mode and win the World Championship and you’ll get a cutscene that is equally bizarre and awesome – I won’t spoil it for you. You can play as Girls’ teams if you enter a code. Girls Mode: Hold Controller 1 down and left and Controller 2 up with the game powered on, then press Reset. Now you can play the Girls Mode. The teams are all the same, but the boys/men have been replaced with girls/women. This is a hilarious real quote from the game’s instruction manual: “Unfortunately, in this mode, the zoom-up display (cutscenes) shows only boy players. Sorry for letting you down.” I expected better from you, Tecmo. Music & Sound: Very enjoyable. Different themes play for different teams, many of which stick in your head. The opening theme of the game is great, too. Sound effects are very good, from the crack of the bat, to the sound of dirt being kicked up when you slide, to the cheer of the crowd for hitting homeruns. Password System: While the game’s ‘save system’ is a rather long password you’ll receive after winning games, it works great, and is more reliable than an old game battery. The game doesn’t count losses, but the password will remember which teams you’ve beaten, and they’ll no longer be selectable from your season roster once you enter the password. More importantly, and amazingly, frankly, is the password retains your pitchers’ stamina. So if you used your top two pitchers in Game 1, they’ll still be somewhat depleted for Game 2, so you’ll need to pick someone else from your bullpen of 6 pitchers. *It’s a good idea to keep a notebook handy for this game. Make sure you write down the password carefully, because 1 mistake will cause you to loose your spot in your Season. Difficulty: Fair. Some teams you’ll dominate, and you won’t be able to stop hitting homers or getting hits. Other times you’ll get dominated, as your club won’t be able to get anything going. Sometimes you’ll play evenly matched games that come down to the final innings. 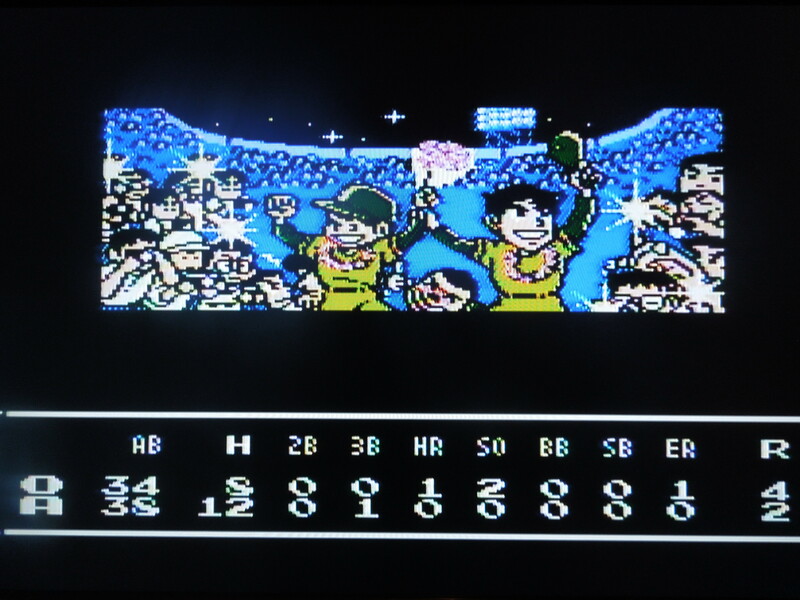 The game plays under ‘Japan’ rules, which means you can play extra innings, but only up to 12. If you’re still tied after the 12th inning, the game will be called a draw (if you draw a team in season mode, you’ll have to play them again until you get a proper win). Knock Outs: Sometimes, your players get ‘knocked out.’ You’ll know a player is knocked out if he is laid out on the field with stars circling his head. A KO’ed player will get up after a few seconds. KOs happen when a batter line drives a ball right into an in-fielders head or when an outfielder runs into the wall when going for a ball at the wall. Diving and Jumping: A great feature of Bad News Baseball is the ability to dive for balls or jump for balls when you’re playing on defense. B + Up makes you jump vertically. B + Left or Right makes you dive. This allows you to make some spectacular catches or diving saves on balls that otherwise would go over your head or roll just out of your reach. 12 teams are available to choose from. Computer: The computer AI (artificial intelligence), which can easily destroy you in some games with homerun hitters, can be taken advantage of in some situations. For example, if you have a runner on 3rd and 0 or 1 out, bunt the ball left or right. The pitcher will always run up, pick up the ball, and throw the runner out at 1st, even if it’s clear he could pick you off at home. It’s a great way to get runs. Another example of taking advantage of the computer: if you’re rounding 2nd, trying to make it to 3rd, and you realize the throw is going to beat you there, go ahead and run back to 2nd, even if you’re almost to 3rd. The computer will never throw the ball back to 2nd or try to catch you in a run-down, even if it’s obvious they could bust you for an easy out. The umpire is a bunny? Heck yes, the Tecmo Bunny. This was Tecmo’s mascot – he appeared in other games also, like Tecmo Bowl Arcade and even on the game label of Tecmo Bowl for the Famicom. Yep, Mr. T is there to congratulate you if you knock one out. So, where can I find this game? It’s easy to find an inexpensive copy on eBay. The game has not been released for any download services, like Nintendo’s eShop. You can play the rom on a computer emulator. 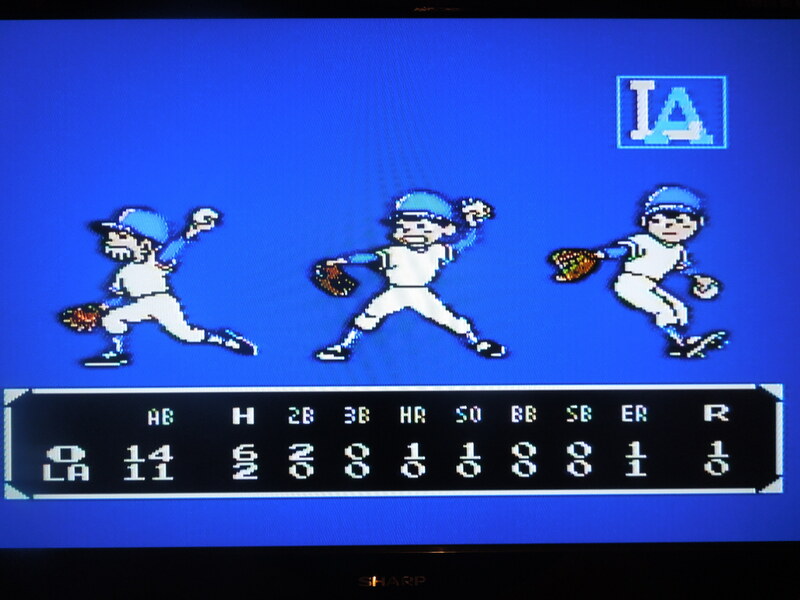 Conclusion: Bad News Baseball is a fast, addictive NES baseball game. It has just enough ‘extras’ in gameplay to make it (way) better than games like RBI Baseball or Major League Baseball, but not too many added features that ruin the gameplay by making things too complicated. The password system is considered by some to be archaic, but I like it, and trying to beat all the teams in the game can be challenging. The cutscenes really make this game come into its own, and weren’t done in just a ‘tacked on’ kind of way. Everything controls well, and there is certainly strategy in rotating your pitchers, using pinch hitters, and looking at players’ stats. 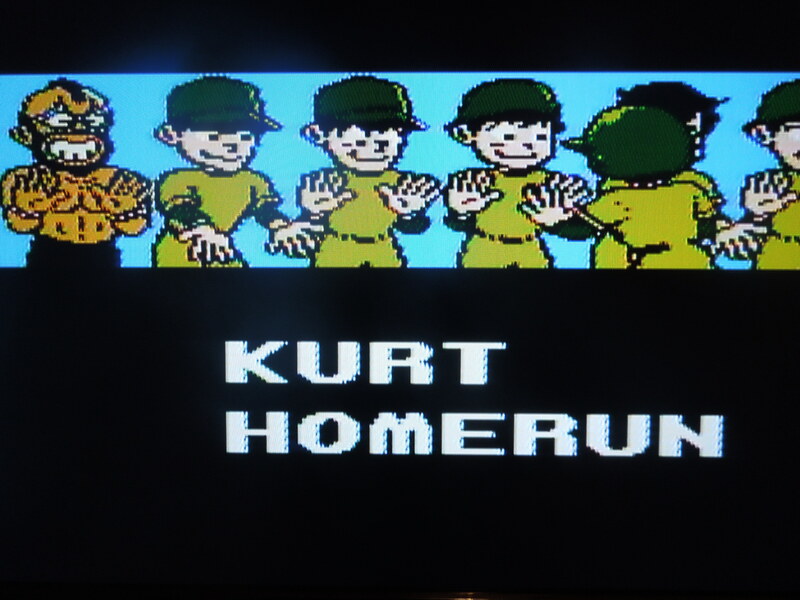 Arguably the best baseball game on the NES. 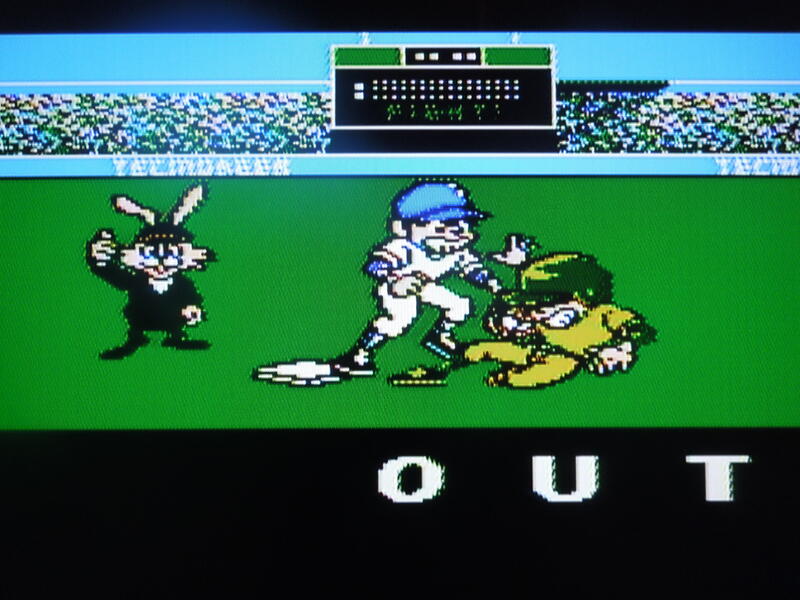 This entry was posted in NES - Bad News Baseball and tagged Bad News Baseball Review (NES). Bookmark the permalink.